Happy Tuesday, friends! 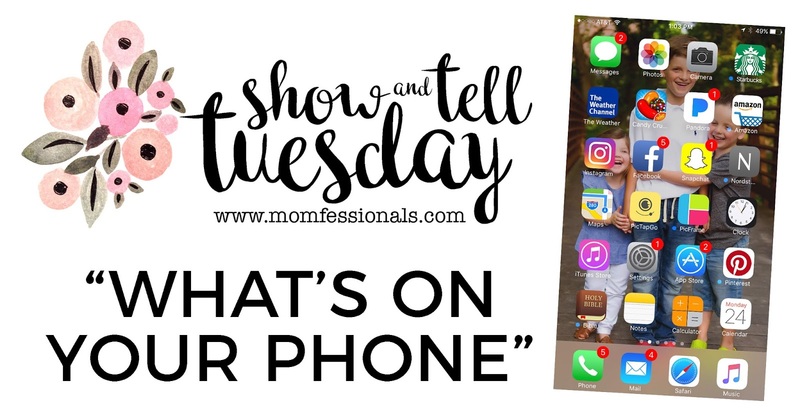 It's Show and Tell Tuesday time and today we're sharing what's on our phone. This was my home screen yesterday afternoon andI feel like everything is pretty standard. One of my very favorite apps that I use all the time is PicTapGo. 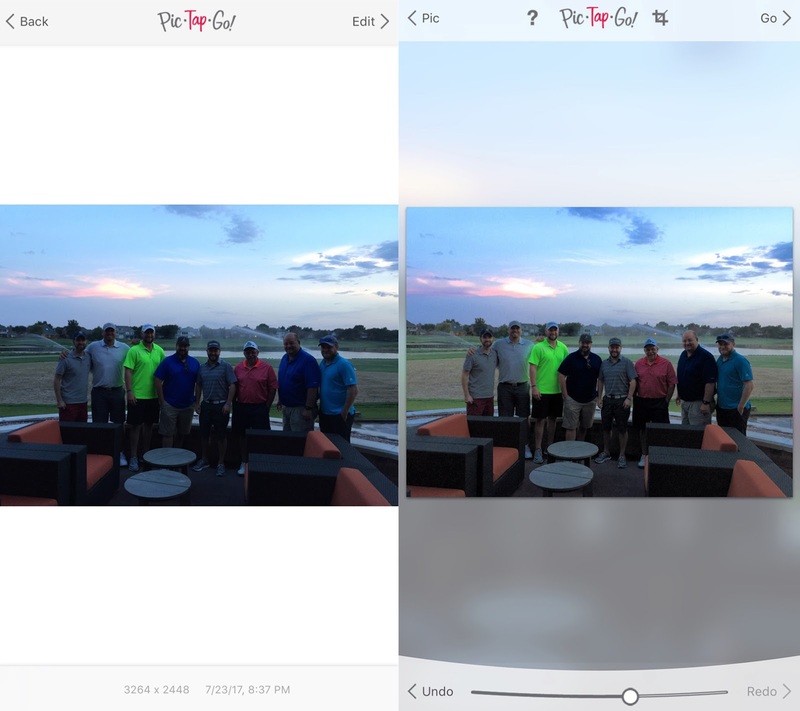 It's a photo editing app that is really easy to use allows you to make subtle (or BIG) changes to really enhance your pics. Most of the time I use the "lights on" filter and the "shadows" filter to brighten my photos that look a little dark. To show you what I"m talking about... the photo on the left was a picture from Dave's phone on Sunday night. You can tell that it's dark and there are a lot of shadows on the guys faces. I made a few adjustments and as you can see on the pic on the right now they have faces! There are tons of filters and options and it's all very user-friendly. - Candy Crush: because I started playing it while I was nursing Griffin and I just can't quit. It's mindless and I'll often play a couple of rounds while eating lunch in my classroom or while waiting at appointments and such. - Pandora: I LOVE having music on and use Pandora to play music at home and at school. There are so many great pre-made stations and I like that I can customize them to my liking with the thumbs up/thumbs down option. - Bible App: I still don't think there's anything like writing in pen in the margins of my own Bible in my hands but I do love the convenience of having the Bible app and having access to the Word when I'm out and about and I also get daily Bible verses sent to me and I can't tell you how many times that "random" verse has been EXACTLY what I needed to read that day. If you want to try Favor you can use the code ANDRM1R8 and get $5 credit. 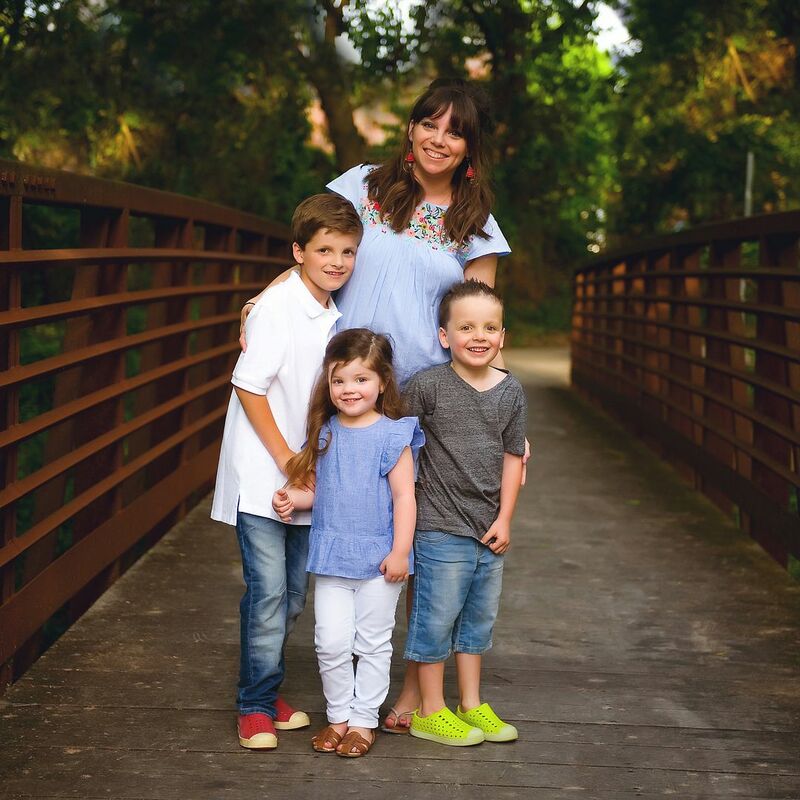 It's a referral link so I'll get a credit as well... back-to-school-teacher-Andrea says Thank you in advance :) And once you get signed up you'll get your own code so that you can tell all your friends about it and earn credits as well! 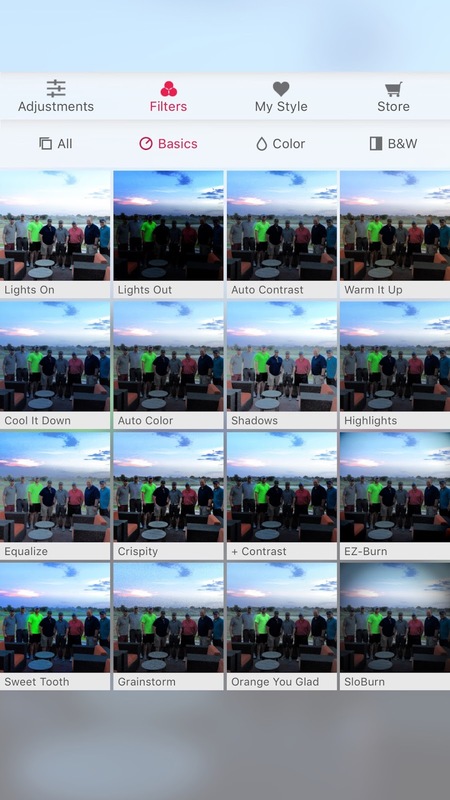 - Touch Blur: this is a great app for blurring out portions of your photos. So if our house number or license plate or something else that I don't want to show is in a picture I can simply blur it out. - Chatbooks: I talked about Chabooks a couple of years ago and still love getting the books in the mail. You can read my previous post HERE. - RenWeb: As much as I wish I could say that I leave all school work at school that's not the case most days and this gives me access to my gradebooks, attendance records, behavior notices, etc. when I'm out and about and am returning parent emails while waiting for my kids at an appointment or am trying to multi-task while Griffin's in dance class on Saturdays. 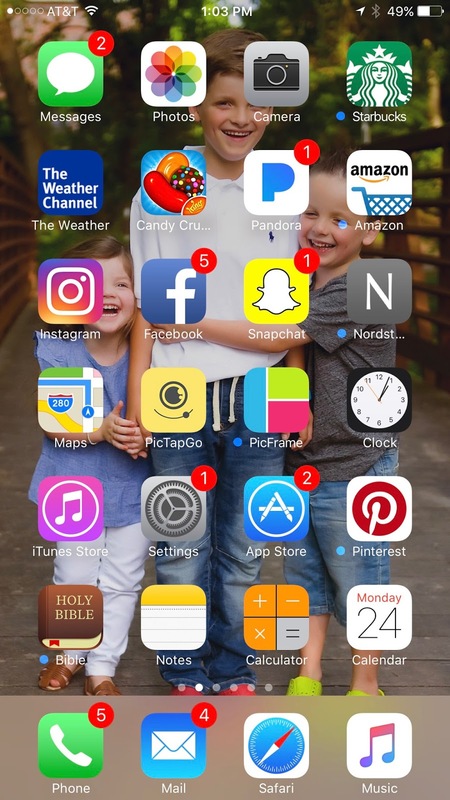 - Circle: Circle is an app that I use to monitor and control my kid's screen time. I mentioned it briefly in a post HERE but am working on another post about it since adding an iPad into the mix. I really like it though - especially how I can turn the WiFi off to their devices, set limits, reward them with more time, etc. all from the app. Quizlet: Quizlet is an app that I use at school (it's essentially flashcards) and this is where I put all of Mason's sight words. I created flashcards for all of them and he practices using the app when we need a change of pace from the regular cards. Garage Band: This came with our iPad (not sure if it came with previous versions of the iPad or not) and my kids LOVE this! They can record themselves, play instruments and piece it all together to make songs. Osmo Apps: I bought my kids an Osmo Genius Kit on Amazon Prime Day and they are OBSESSED!!! I love that they're doing math, spelling and working on hand-eye coordination (among other things) while they play and have been so impressed with the whole system so far. I'll share more details about this soon! Favorite Games: I downloaded a few of our FAVORITE family games onto the iPad and love that the kids can play Quirkle, SkipBo and a few others even if we're not at home or if they want to play a round while I'm making dinner or otherwise unavailable to play and their siblings don't want to play. Art Apps: Drawing Pad is our favorite, but the kids doodle one is super fun as well! Letter School: I bought letter school years ago to work on handwriting with Luke and it just keeps getting better! It's easy enough for the littles to use on their own, but challenging enough that they don't just breeze through the activities. Random Stuff :) We definitely have our fair share of random apps that the kids download... Strawberry Shortcake, Pokemon, Angry Birds, etc. Dots: My kids all love the "dot game" (we play it when we're out to dinner or anytime there's paper spread out over a table) and the boys play the app together all the time. I'm always looking for fun new apps for myself and the kids. I can't wait to hear about your favorites! If you have a blog use the link-up below to share your post and if not, sound off in the comments and let us know what we should download. I feel the exact same way about the Buble app! It doesn't trump the actual pages and highlighters and pens, but it really convenient. I totally wish we had a delivery app where we lived! Oh wait, we don't even get delivery! :) That would be really cool though. Happy Tuesday! Crossing my fingers y'all get a delivery app soon :) And YES to the highlighters and pens! I'm off to clear some things off my phone and make room for some new apps! Such great apps! I can't wait to download a few! I really like the touch blur app! And it's super easy to use! Those are some great kids apps! We are going to check them out!! I want to try Chatbooks -- I think it'd be a perfect Christmas gift for family! Thanks for hosting the link-up! And the print quality is really great! Thank you for sharing kid apps as well! I'm on the hunt for a few new ones for our guy for the flight to China. Hope he likes a few that I shared - that's a LOOOONG flight! Oh also, I love Flow Free. They now have a daily game that I love. Some days the games are super easy and others are fun challenges. Check it out! I've never heard of that! Checking it out this afternoon. THANKS! Oooh... These are some great app ideas. I LOVE PicTapGo too. My kids are big fans of Endless Alphabet, Endless Numbers and Endless Reader. (Your kids might be a bit too big for those now.) Elle also likes the Monkey Preschool games (great for Pre_K skills!) and Teach Your Monster to Read. Checking out the "endless" apps this afternoon - thanks so much for the recommendations! We've had Osmo for a few years now and LOVE it. I'm a math teacher too, so I loved when they came out with the coding game. I picked up the coding and pizza games for Christmas gifts for the boys - they're going to flip! Checking out PicTapGo right now! Thanks for the suggestion! Love this one Andrea. I just downloaded Touch Blur. Thanks for the suggestion. Hope you're having a great week! YAY!!! So glad you found a good one :) We're having a GREAT week - just soaking it all in! Another great, helpful post! I'm going to try out PicTapGo and Circle for sure. My kids love slither.io which is a fun kid game! Ooooh! checking it out this afternoon - thank you! I don't think my first post went through. I am also hooked on Candy Crush. Took a break for a while, but back at it. Currently on level 558. What level are you on? Happy Tuesday. Oh I'm going to try TouchBlur. What a great way to save a step! And I bet my kiddo will love Letter School. Thanks! Okay, I'm downloading PicTapGo and TouchBlur now! 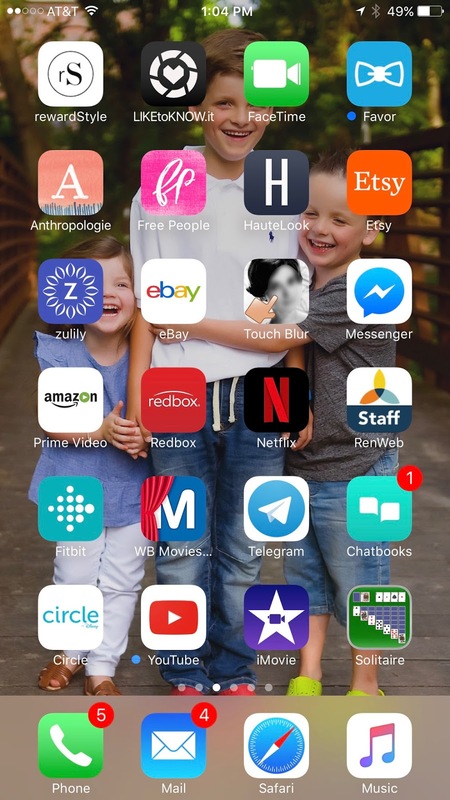 I haven't found a photo app I love since I started focusing more on blogging and I'm hoping these are what I'm looking for. Thanks for sharing! YAY! PicTapGo is great - can't wait to hear what you think! Thanks for all thr suggestions! How does the Osmo art app work? Are they tracing? I'll have to take a video and post it... it's not really tracing... but it kind of is... I'll do a video and share! I love Quizlet - have you played Quizlet Live with your students. They absolutely love it! And I didn't know Quirkle had an app - I'm going to have to add that to our iPads at school! Thanks for sharing! I haven't!!! I use Kahoot A LOT but will have to look into it - thanks so much for the recommendation! Tell me more about Chatbooks. I read your previous post. But do you also do it for the pics on your phone, or just IG? And where do you store them? I have the app and I just started. Have you tried the hardcovers yet? I haven't gotten my first book yet, so I'm curious. My books print from my IG feed - and I do the soft covers. LOVE them!